Osaka Expo ’70 Stadium or sometimes Banpaku Stadium is an multi-purpose sports arena located in the grounds of Expo Commemoration Park which was the site of Expo ’70 which was a World’s Fair, and the first in Japan. 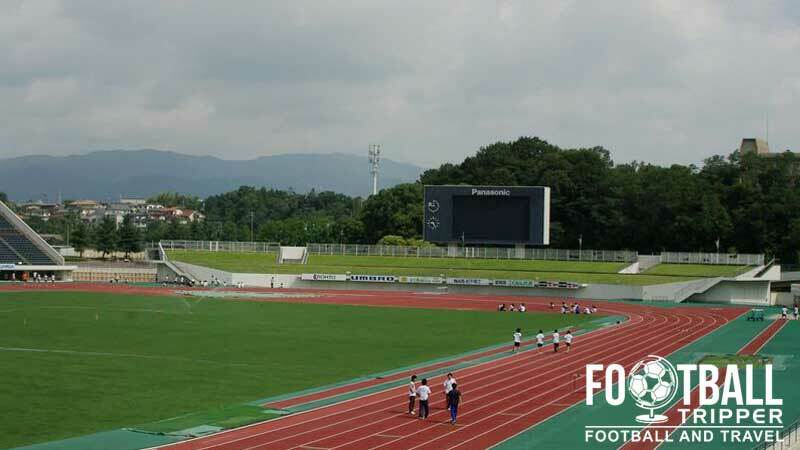 J.League side Gamba Osaka FC currently use the site as their home stadium. Contrary to what the name might suggest about the date of construction, Osaka Expo ’70 stadium first opened in 1972, and is in fact named after its location within the Expo Commemoration Park. 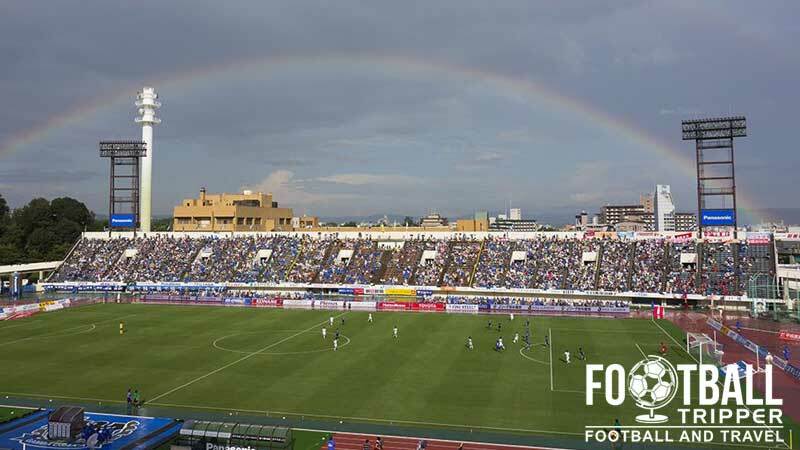 Used predominantly for athletics since opening, it wasn’t until professional football in Japan was restructured in 1993 that Gamba Osaka became permanent residents. 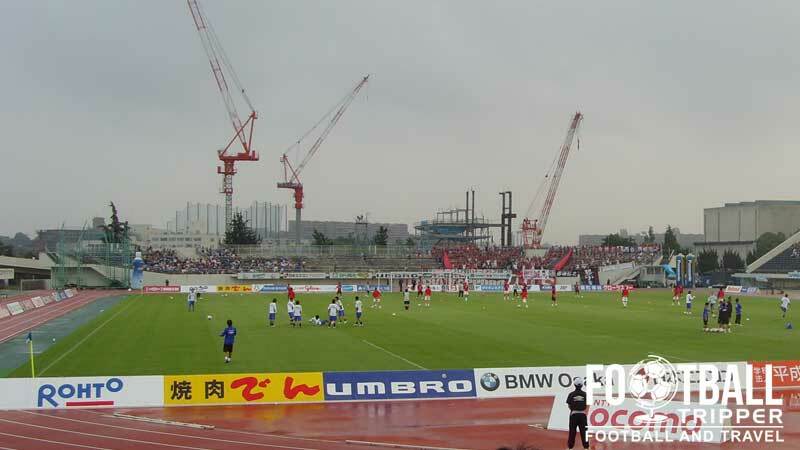 When Osaka was selected one of 10 host cities for the 2002 World Cup there was some suggestion that The Expo stadium would be used for the tournament, however it was overlooked in favour of the much larger Nagai Stadium. With a capacity of just 21,000 it was deemed too small to satisfy Fifa’s stadium regulations, and even after an expansion in 2006 which resulted in the addition of 2,000 more seats it still would be inadequate for International matches. 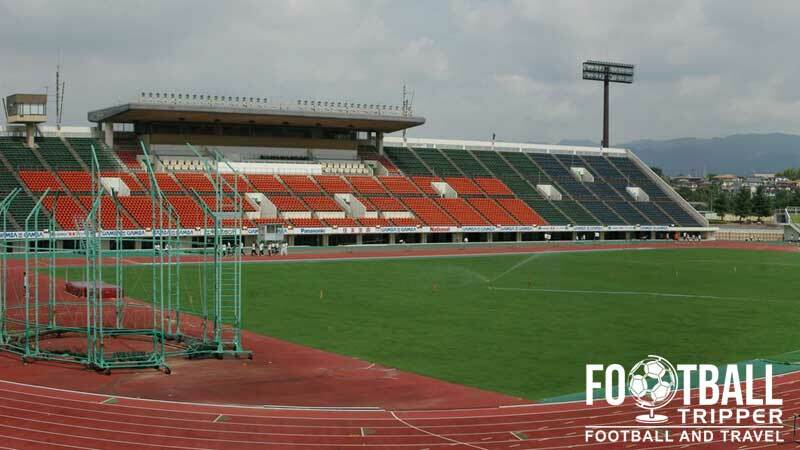 To date the highest level of football hosted at the stadium has been matches of the AFC Champions League. In 2008 Gamba Osaka defeated Adelaide United to lift their first ever Asian Trophy. Qualifying for the FIFA Club World Cup Championship which was held a few months later, Gamba Osaka finished third after defeating Pachuca, but losing out to Man United in the semi-finals. As for the future of Osaka Expo Stadium, whilst it’s unlikely that it will demolished any time soon due to its multi-purpose design, its days as a football stadium appear to be numbered. Gamba Osaka are currently constructing a 40,000 capacity football ground known as Suita Stadium which is set to open towards the end of 2015. Osaka Expo ’70 Stadium consists of the following four stands: North, East, South and West.